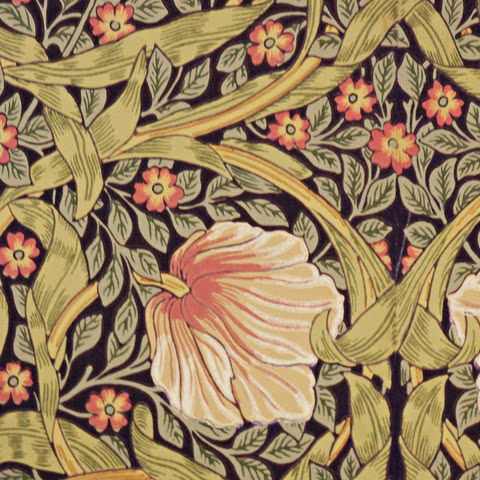 A reconceived e-commerce experience bringing the unique and authentic physical shopping experience to the online storefront. 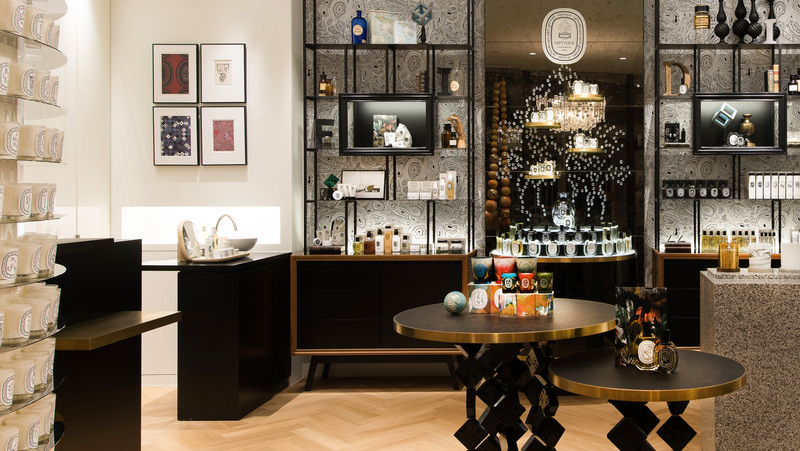 Opening a window into the eclectic world of Diptyque. 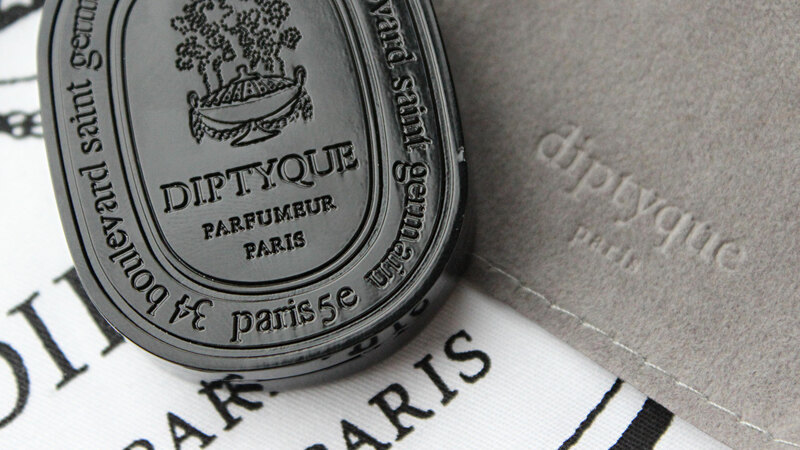 Originally producing printed fabrics in 1961, Diptyque has always stood for the quality and craftsmanship of its products above all else. 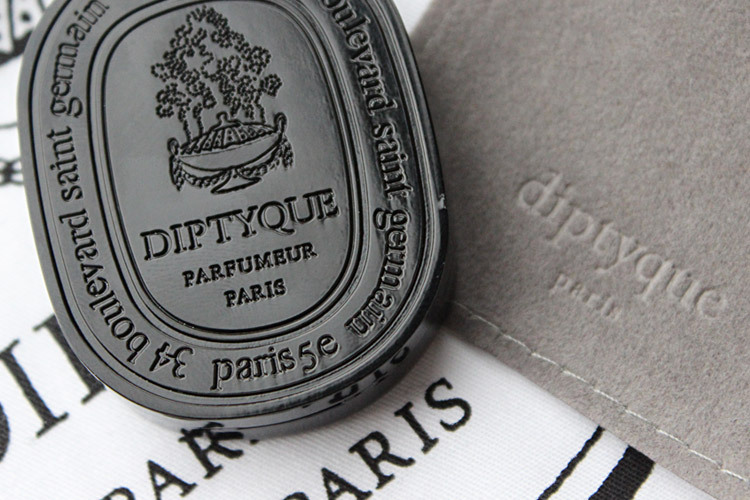 Following the introduction of its line of scented candles a few years later, Diptyque has evolved their focus, growing into home products, soaps, and personal fragrances. 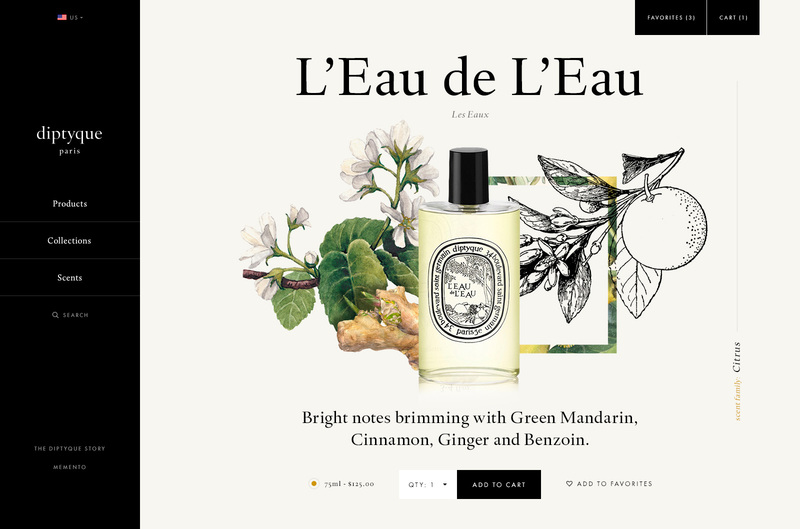 For this pitch, Diptyque sought to bring the essence of their brand experience to digital. 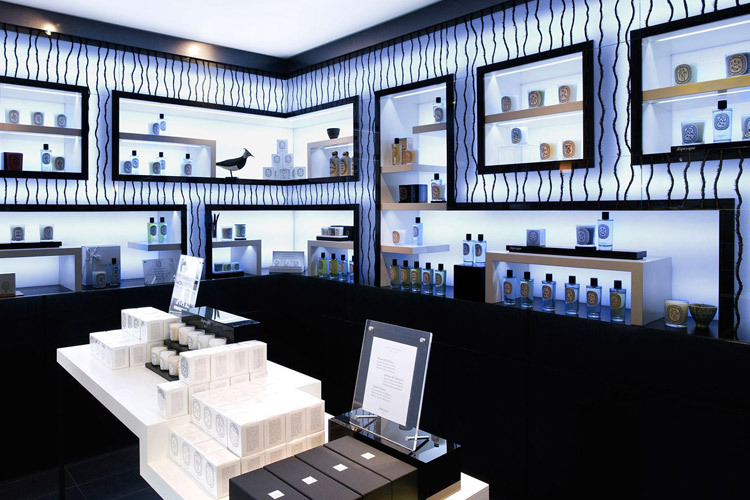 To achieve this, we sought to bring the physical experience to life, sharing the stories behind the brand, products and scents. 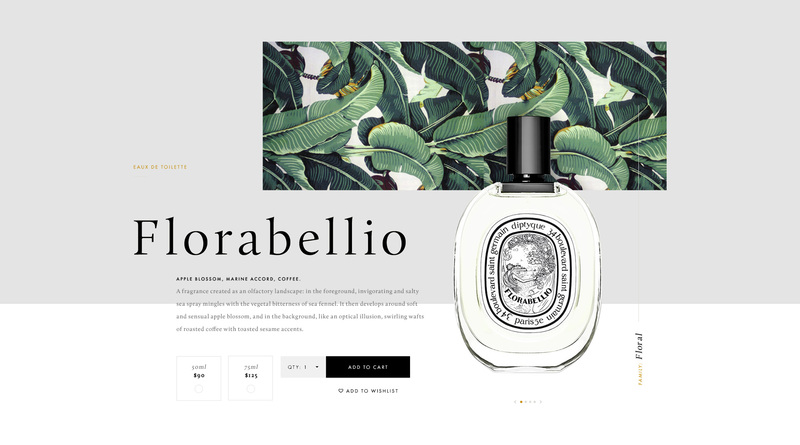 We needed to communicate the essence of each scent without being able to experience it in person, engaging ones imagination through visually inspiring content and rich storytelling. 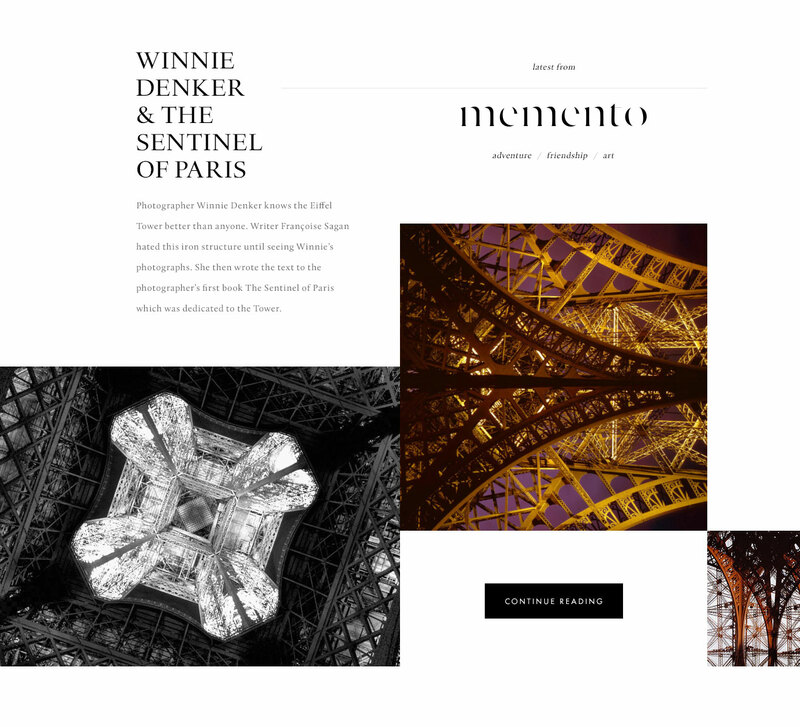 Drawing inspiration from the lavish and artistic windows Diptyque boutiques throughout the world are famed for, we leveraged current campaign visuals, patterns and visual art to support product pages to ultimately replicate the unique feeling one gets standing inside the Saint-Germain boutique in Paris.